in the heart of the Provence-Cote d'Azur, between Lavandou and Saint Tropez, on the magnificent sands of the Bay of Cavaliere. Located in the heart of the Provence - Côte d'Azur, between Lavandou and Saint Tropez, on the magnificent sands of the bay of Cavalière. Enjoy breathtaking views of the islands of Llevant and Port-Cros and of the bay from the rooms. "Ideal place with wonderful views. A spectacular hook for a relaxing and gastronomic holiday." 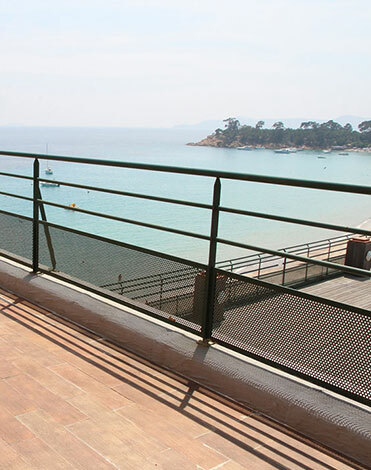 All rooms have a fantastic sea view, very generous balcony, you are right on the beach. The food was excellent - mainly ate outside on the sun terrace, friendly staff just the place to relax.